At Cattows Farm in Leicestershire, we have over 40,000 pumpkins for you come and explore. Our pick your own pumpkins experience is a great fun day out for the whole family. Pumpkins are incredibly popular around Halloween in October. We’ve planted more pumpkins than ever before this year. Whether your looking to carve up your pumpkin or cooking, we’ve got the finest selection in Leicestershire. You can be sure you’ll bag a prize pumpkin from our huge range. We have all sorts of different pumpkin types from the traditional bright orange Racer to our brand new spooky Knucklehead pumpkins. All just a 30 minute drive from Leicester City. Cattows Farm is well known for its pick-your-own fresh produce. People visit the farm from all over Leicestershire and the Midlands. This year we’ve planted more pumpkins than ever before to make sure you have an endless selection of pumpkins to choose from. Getting to Cattows Farm couldn’t be easier, we’re close the M1 – just take exit 22 and follow signs for Ibstock. Take a look at the table below for travel times from your location. Is your location not listed? Pop your postcode into this form and get directions from your location. Before you come to pick your pumpkins at Leicester’s biggest pumpkin patch this Halloween, make sure you read our FAQs. There’s lots of useful answers to help you plan the perfect pumpkin hunt! You should also ready our How it works page if you’ve never picked your own pumpkins before. Cattows Farm is open 9am-5pm 7 days a week, there’s no need to book some just drop by and start your pumpkin adventure today. We don’t just offer pumpkins! 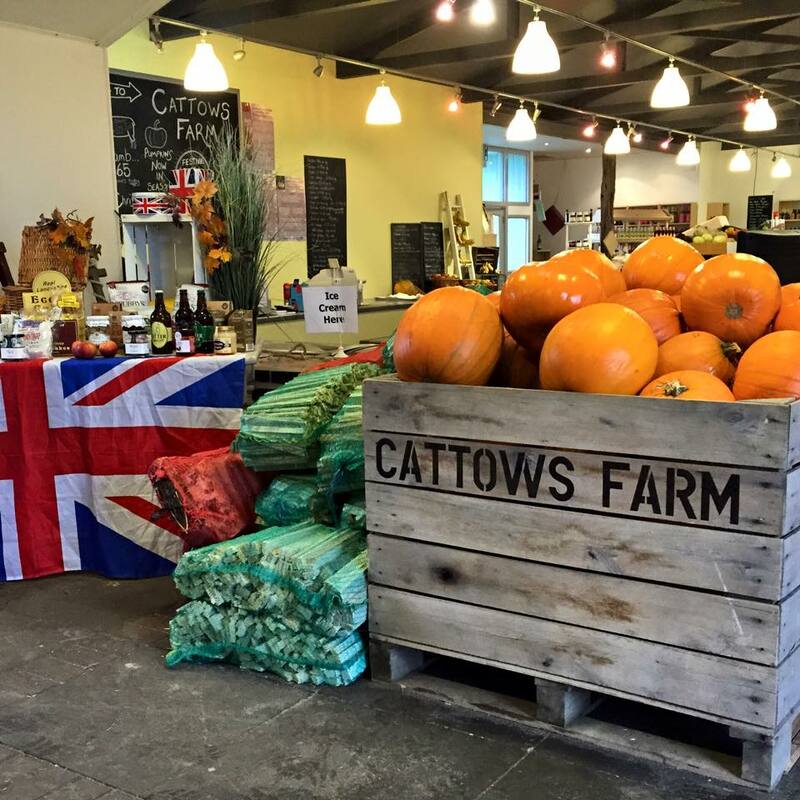 Cattows Farm offers a wide range of pick your own fresh produce throughout the year. We also have plenty of other things to see and do on the farm. For more information about what else is on offer at Cattows Farm, visit our website. © 2019 Pick your own pumpkins.